The year is 1994, it’s summertime, and New York City is the dream destination for any artist hoping to turn their creative passion into a profession. David McIntyre, a lanky Scotsman with a thick accent, steps foot in the city that never sleeps clutching a Mamiya RZ67 camera and a burning desire to make a name for himself as a photographer. 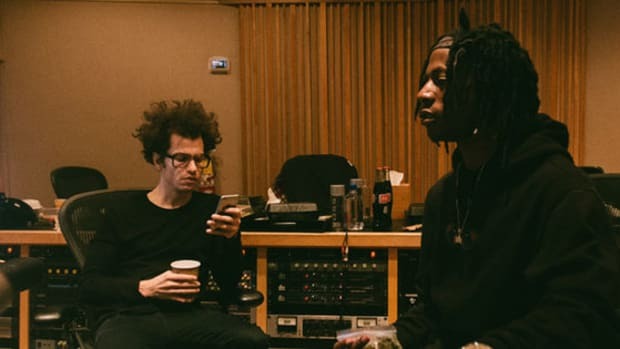 Hip-hop is expanding at this time, the culture is evolving, one of McIntyre’s first American gigs is with Interview Magazine to take some candid portraits of a young rapper on the cusp of releasing his debut album in August, titled Ready To Die. McIntyre had knowledge of hip-hop, aware of the genre and culture, but this advance copy sent by Bad Boy Records was his first, true taste of rap music, an experience he considers “The hardest thing I ever heard.” Coming from a punk rock background, the edgy, descriptive sincerity of Biggie Smalls&apos; lyricism on the surface revealed the darkness of a lifestyle full of drug dealers, gun totters, and street hustlers was a bit overwhelming. 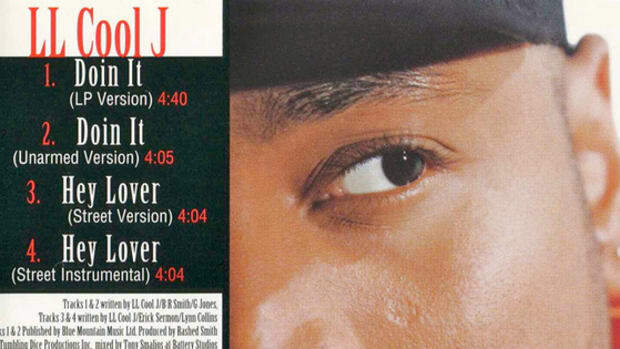 This was prior to “Juicy” being liberated to radio; before Biggie was a household name. McIntyre was listening to a classic before the acclaim while preparing to photograph a king before receiving the crown. The year is 2015, it’s summertime, I’m talking to McIntyre, who still lives in NYC, an established photographer in various fields that expand beyond portraits of musicians, his accent is still apparent, and he’s reminiscing about the summer in 94’ when he went to Brooklyn for the first time. 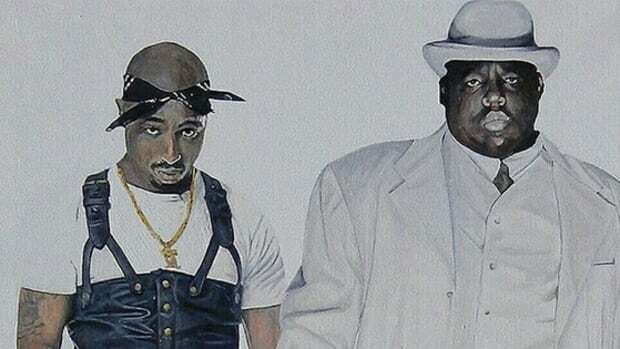 He speaks with a familiar enthusiasm about B.I.G that can be heard in the vocal tone of almost anyone that grew up during his era, who lived to witness his energy and effect on hip-hop. McIntyre&apos;s story is special, he was capturing Christopher Wallace before he became infamous as the Notorious one. 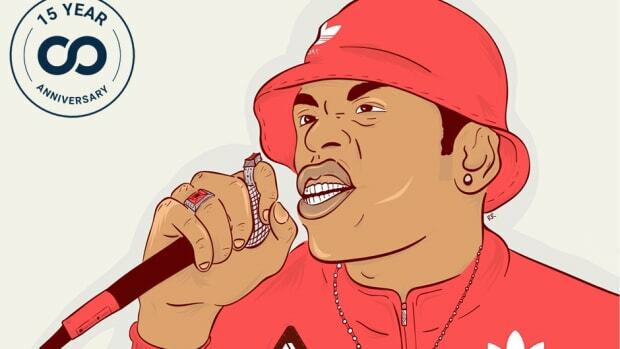 He walks me through that day, how he entered the recording studio and witnessed LL Cool J and Busta Rhymes, two established giants, hanging around the promising prospect. 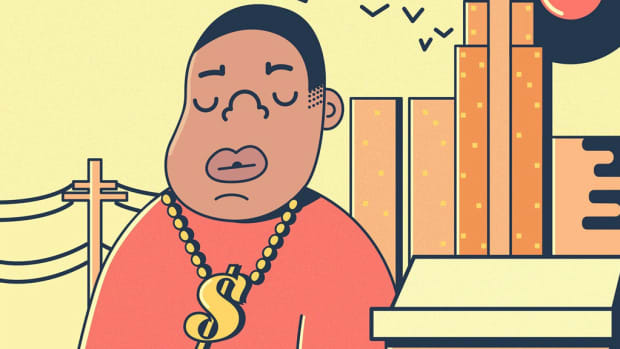 He takes Biggie to a few locations he scouted, without a stylist, bodyguard, or a member of an entourage. Something that would change in the months to come. After 15 snapshots, the two parted ways. Interview Magazine would run the story with a few photos. B.I.G’s career would begin to blossom with the release of “Juicy” and while the future king of New York was beginning to reign McIntyre would misplace the irreplaceable negatives from their photoshoot. This is before digital uploads, without the negatives you aren’t able to develop the photos. After searching high and low for months, not a single film strip was uncovered. The pictures were lost history, well, until recently. While having a dispute with a disgruntled landlord that was attempting to raise McIntyre’s rent without doing the requested repairs in order to force him out, he decided it was time to move and find other living quarters. Searching through the pockets of old clothing that would be given to Goodwill, hoping to find a miracle buck or two, McIntyre found something better, a buried treasure in an old jacket. The very negatives that he suspected to be lost were found when and where he least expected. What I love about McIntyre’s story is that he didn’t upload the photos to Facebook or Tumblr, amassing thousands of likes and followers would’ve been a simple task, but he had a vision that was much bigger. Take the photos, blow them up, and host them in an exhibition that will be an experience to remember. 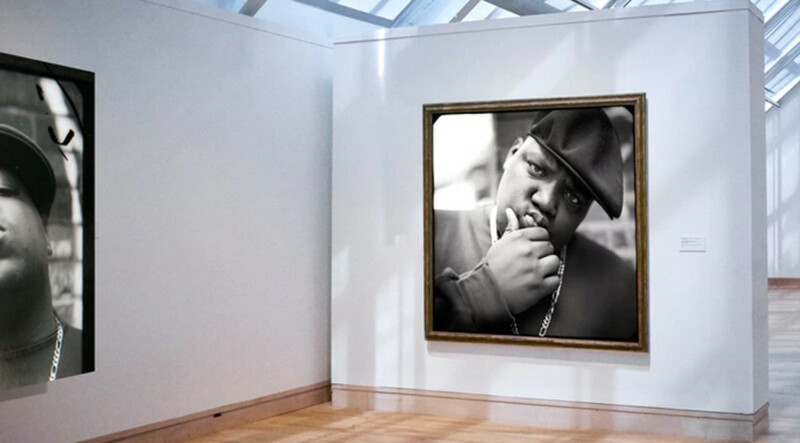 Except, the local galleries he sought out didn’t find Biggie to be a popular enough subject. 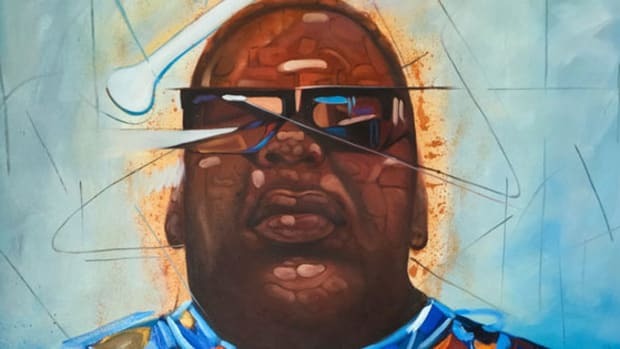 In New York City, The Notorious B.I.G is not big enough to be dawned upon their walls for the public’s viewing pleasure. This is like spitting on the throne of a king after his passing. It’s the kind of statement that makes you question humanity. 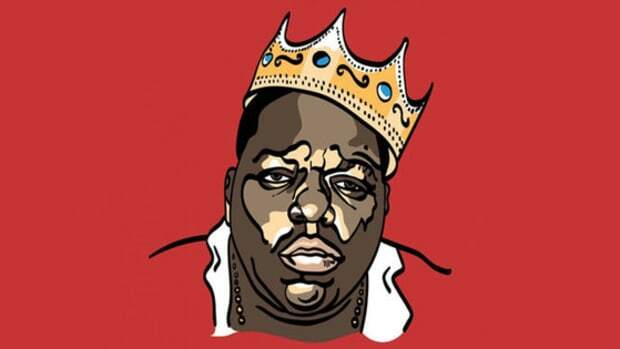 This lead McIntyre to Kickstarter, understanding that Biggie was a man of the people and through crowdfunding, the people hold the power to bring his vision to fruition if they so desire. Not only proving the galleries wrong but allowing a gathering of new and old fans, to bask in a moment of a man that longed passed but has transcended the idea of death through immortal art. These pictures are a part of his legacy, an untold story that can finally be published. McIntyre isn’t worried about critic’s thoughts on the photography, explaining, “It occurs to me some people might not like them. Compared to the highly stylized pictures of Biggie that was done later with [a] stylist and professional lighting, but what I remind myself is, no one can deny the pictures of an extraordinary man. Even if the pictures are ordinary he is extraordinary.” Hearing him speak so highly of Big showed me how much admiration he has for the heralded lyricist. From that very first introduction 21 years ago, McIntyre watched from afar as he rose, fell, and achieved timelessness. From being overwhelmed by his lyrics to becoming a fan and seeing the literary genius of his storytelling. The photos are a testimony of a brief encounter that left a lasting impression on one man. As we continued to talk, he tells me about his 18-year-old son who is now a fan, with friends that carry the same enthralled attitude toward Biggie and how the exhibit can potentially include so many different ages and ethnicities. He tells me about the fan art on Instagram that he’s discovered and how he hopes that his photos will add new material to the limited options that these kids have as sources for their work. His passion for this project is absolutely genuine. I’m too young to remember Biggie’s time on Earth, but through music, stories, and photos, I’m reminded that this extraordinary artist was a man and not a myth. 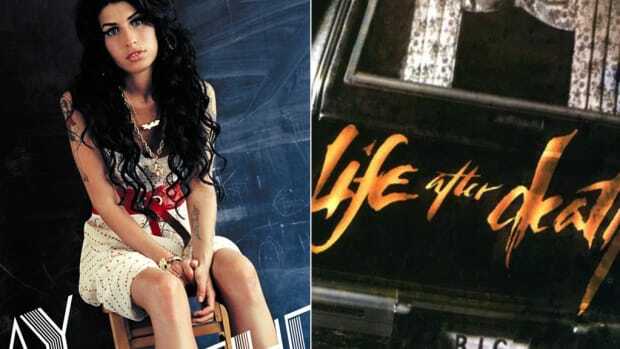 With rap, there are so many personas that must be represented that sometimes the person is lost in an image that doesn’t justly represent who they are. Six weeks before his death, Biggie was photographed in a cemetery. His huge frame cloaked in a black trench coat, he looks like an invincible goliath that even death would fail to conquer. Yet, the look in his eyes is full of paranoia, a man that acquired success but lost a sense of peace that would never return. David McIntyre told me his photographs are the kind that Biggie’s mother would love. They carry a sense of purity that a mother could appreciate. He hopes to share them with her, pictures that show him right before his life would change forever. We know what the final outcome of his life would become once he stepped into the spotlight. Wouldn’t it be nice if she could just live in that moment for just a second? That’s what photography gives us. A moment with the past that we can never get back. McIntyre wants us all to experience such a moment, which is why I hope his Kickstarter succeeds. By Yoh, aka Notorious Y.O.H., aka @Yoh31.